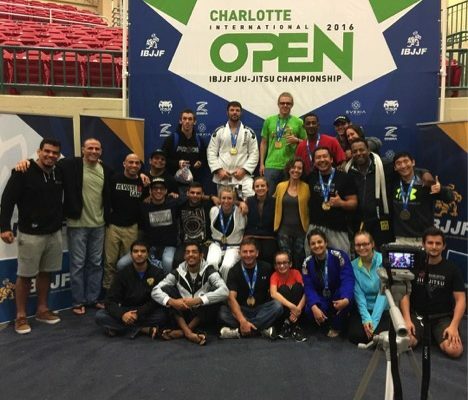 The Charlotte International Open Jiu-Jitsu IBJJF Championship was held on October 8th, 2016. Ground Control Columbia finished 10th place overall in the Charlotte Open. This marks the second time this year that Ground Control has finished within the top 10 at an IBJJF tournament, first time happening at the New York Spring Open. The two week training camp leading up to the Charlotte Open paid off as Columbia had brought back over 15 medals. Justin Sizemore, Pow Srikachorn, and Jason Rilley were all promoted to Blue Belt at the conclusion of the tournament.